Reputation monitoring is a crucial component to an effective marketing strategy. In order to maintain a healthy business brand reputation, owners must use marketing tactics that can keep up with the rapid pace of the internet. Otherwise, a business owner could find themselves in a situation where they fall asleep with a great business reputation and wake up with a PR nightmare on their hands. It happens that quickly. Find out how reputation monitoring tools can help business owners protect their online reputation as well as their offline reputation below. Online reputation monitoring tools allow business owners to know where their business’ public image stands. These types of marketing software can make it easier to identify a business’s strengths and weaknesses. When you know your brand reputation status, strengths and weaknesses, you can better tailor future marketing strategies and campaigns to those parameters. Ultimately, knowledge is power – especially when it comes to your business. The knowledge reputation management software offers business owners is a huge marketing advantage for any business listing. Reputation monitoring software can help business owners stay ahead of the news. That puts businesses in a better position to control the narrative. Business owners can tell a positive story about their business online to deflect any negative criticism or prevent it altogether. You will hear about bad news the second it happens, thanks to notification features on the best reputation management tools. When you control the story about your business, it will be one that paints your business in its absolute best light. This is one of the best marketing advantages of reputation management software. Reputation management solutions allow business to enter into a conversation with consumers. That is a huge benefit. With the notifications tools included in these types of business software, owners can reply to customers directly. These tools can be used for both comments and reviews to get response from customers. That way, you can respond to customers quickly. When you can reply to complaints and compliments online, your business will have a much better brand reputation online. Ultimately, this is one of the biggest marketing advantages of using reputation monitoring software tools. Consumers trust brands that use reputation monitoring solutions more. That is a significant advantage that all business owners should capitalize on. When you are able to use online reputation monitoring tools to take control of your online business reputation, your target audience will develop trust for business. Earning consumer trust without these marketing tools is much more difficult. That is why this is another significant advantage of using an online reputation management software. Managing online reputation for business can improve online visibility overall for small and medium enterprises. That is a significant benefit of using reputation management strategies and technology. When a business has better online visibility, it increased the effectiveness of all online marketing tactics. In today’s business environment, digital marketing strategies are some of the most important. Therefore, increasing a business’s online visibility is the best way to improve marketing outcomes. That is why the increased online visibility that comes with using reputation tracking tools is so advantageous to all businesses. All businesses can benefit from reputation monitoring tactics. When a business has reputation management tools in their possession, they experience significant advantages in marketing. 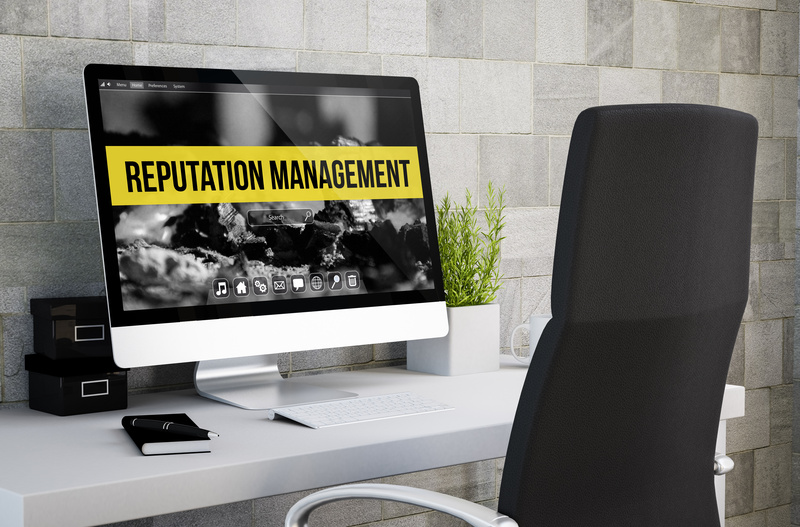 Using these types of online reputation monitoring tools allows businesses to know their business and control the online narrative surrounding their brand image. It also lets businesses respond to customers directly, to establish consumer trust and increase visibility online. Take advantage of all these possibilities by utilizing business tools for online reputation management. Your business marketing attempts will benefit from it.